I've been wanting to make a recipe for a good apple cinnamon muffin for a while, but I didn't want it to be the "typical" AC Muffin that you can buy in the store. When you buy a packaged muffin mix, the fruit inside is always dried and it's full of things that you don't necessarily want in your breakfast. This morning, while Hadley sat in her high chair and ate eggs and strawberries, I made these yummy muffins! Normally, I take a recipe and try it and then add or subtract some things to make it better (in my opinion). Today's recipe is 100% me!!! I didn't look at any other recipe to create this one, I just started throwing things together and did it!! I'm quite proud of myself because this doesn't happen very often, especially since I was going back and forth between cooking and taking care of Miss Priss! In a mixing bowl, combine the Baking Mix, Milk, Eggs, Sugars, and Cinnamon and combine with a whisk. Once nicely combined, stir (Do not whisk) in Oats and Diced Apple. Here's the measurement that my one diced apple came out to. A little over a cup. Grease a muffin pan (Mini size or Regular size) and fill each one 1/2-3/4 of the way full, depending on the size muffin you want. I always fill my cups 1/2 way full because I can make more muffins that way!!! For a regular size muffin bake 15-18 minutes. For a mini size muffin bake 13-15 minutes. 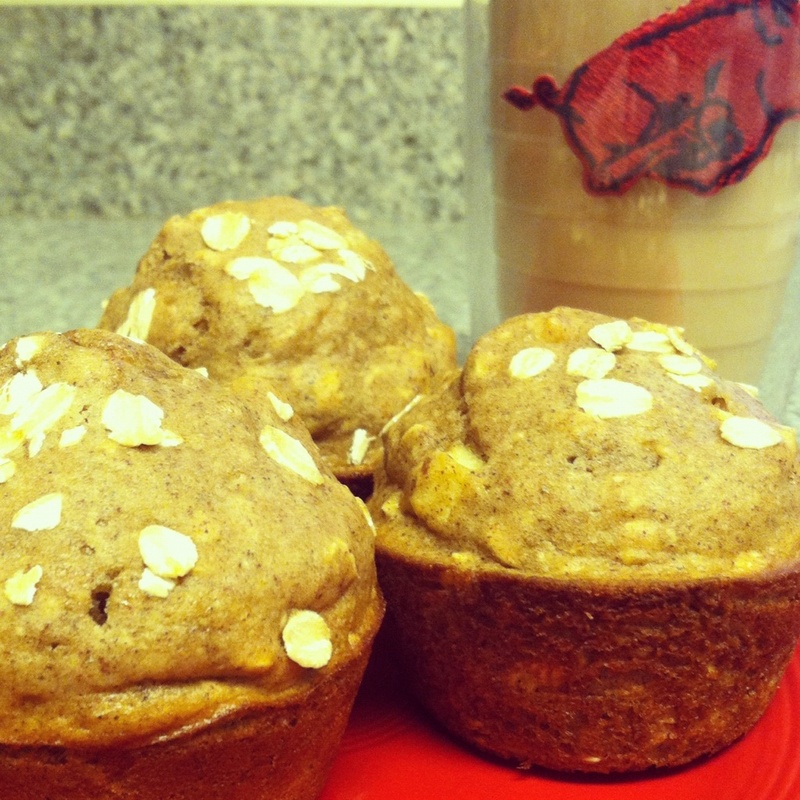 This recipe makes 8-10 regular size muffins or 15-18 mini size muffins!!! I went a little goofy and made 12 mini muffins and four regular ones! Hi James! I would be happy to! I am currently without my laptop (visiting with my parents) but I will post it soon!